Kitchen N Things is a neighborhood store with a modern flair. Staffed by knowledgeable, courteous, local professionals with hands-on product training, we love to cook and each of us has our preferences on products we carry. 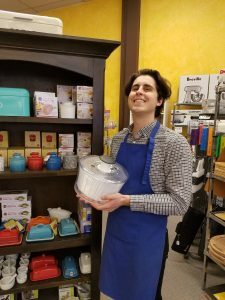 Come in and let us give you individualized advice and recommendations on our favorite culinary tools and kitchen accessories. 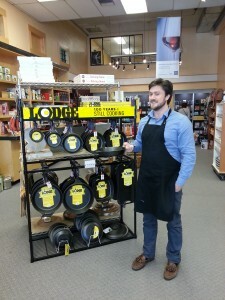 Jeffrey is the store manager of Kitchen N Things. He’s a fan of searing meats in cast iron skillets or braising them in enameled dutch ovens. He is passionate about having a damn fine cup of coffee as well as fermenting vegetables and bread. Come share recipe ideas with him! Charlene has been with Kitchen N Things for over 10 years. She’s a friendly wealth of knowledge! 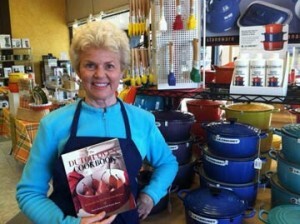 Favorite areas of expertise include Le Creuset, Cooks Illustrated, and Cuisinart! Jack is well-versed in vegetarian and vegan cooking and enjoys making naturally-leavened bread. Some might say that he is kitchen royalty: his ancestors lived for generations in the German village where the spatula is believed to have been invented.